In 2016, the Jewish music world was introduced to composer extraordinaire Reb Pinchas Wolf. In the almost three years since, he has released not one, but four albums of his niggunim sung by star soloists, each one better than the next. Shirei Pinchas 4 is masterfully arranged and produced by the talented Doni Gross who has been working with some of the top performers in Jewish music. Pinchas, not only composes these amazing hartzige niggunim, but also many times writes their intros and interludes as well. 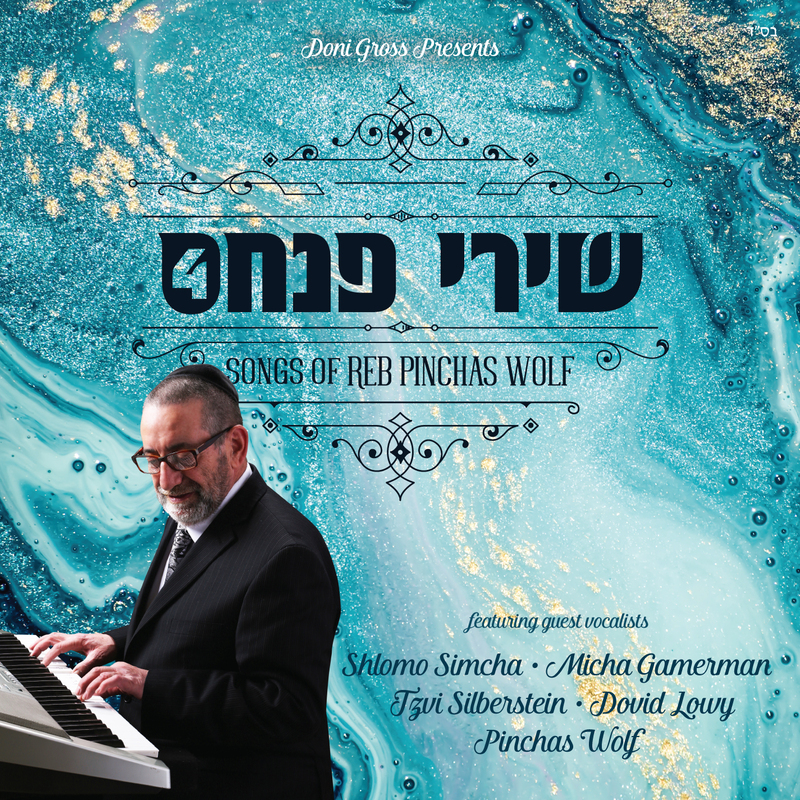 The album features returning star vocalists Shlomo Simcha, Micha Gamerman, Tzvi Silberstein, Dovid Lowy and Pinchas Wolf himself performing not one, but 5 of his own songs despite his advanced age (72). While Pinchas’s voice might not be as full as it once was in his younger years, it still has its vibrancy and most of its range making it a pleasure to listen to. Pinchas really shines in the albums opening track “Ata Chonein,” a nigun that is sure to be picked up by minyanim across the globe. The song “Shema Beni” also has “Shlomo”-like elements to it with some original English lyrics written by Pinchas himself. So whether you have already been touched by Pinchas’s niggunim or this is the first you have heard of him, go get your copy today! You won’t be sorry you did! Shirei Pinchas 4 is distributed by MRM music and is available for digital download on iTunes, Amazon Music, Google Play and Spotify.